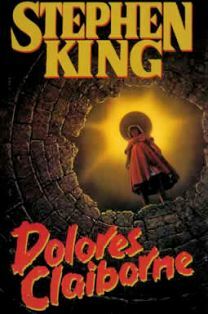 Finished reading Dolores Claiborne by Stephen King. Dolores Claiborne is a story told in the first person by the cranky, 65-year-old housekeeper, Dolores. Dolores explains to police officers and a stenographer how and why she killed her husband, Joe, 30 years ago. In the same story she insists that she did not kill her long time employer, Vera Donovan. Joe was a drinker, as Dolores gradually argues; he deserved to die for the horrifying crimes he committed against his family. Vera, despite her crabby disposition as a lady leading her estate with her precise rules about even the most mundane household chore, was a good woman or at least not an evil one. Vera hired the young Dolores and kept her on staff even after Dolores got pregnant a second time. Dolores cleaned and cared for her even as the old matron faded into senility. Dolores Claiborne is a fascinating book. I really enjoyed the first person narration of the book. I didn’t find the overall story to be ground breaking but the point of view of the book made it easy to follow. You really grow to enjoy the storytelling of the old housekeeper.